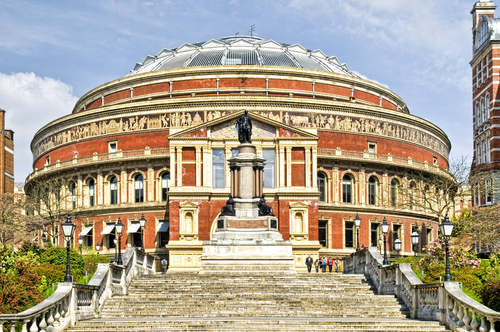 School children in Halifax are being given the opportunity to perform at the Royal Albert Hall, London, as part of the Schools Prom, from the 11-13 November this year. The performance has been organised by Calderdale’s Music Hub and Parkinson Lane Community Primary School, a joint initiative aimed at providing support for music outside of the mainstream within some Calderdale schools. An application for schools to perform at the iconic London location was accepted by national music education charity, Music for Youth. 500 young people from schools in Halifax will perform a ten minute piece entitled Tumhein Dil lagi – a South Asian style of music known as Quwali. This musical piece was made famous by Nusrat Fateh Ali Khan. Choirs of primary and secondary school children will perform the piece, which is a musical representation of a battle against good and evil, equality, and stands up for the rights of women – with choirs either side of the central arena firing choral chants at each other. Young people will perform an interpretative dance throughout the choral piece. Secondary school students will be strategically placed around the Royal Albert Hall (on the edge of the stage, in the aisles, and in the circles) playing bass drums and trumpets to accompany the performance and engage the audience, and to give a depth of power to the singing. Staff from the Calderdale Music Service together with Razwan Sarwar and Shabaz Hussain (both leading musicians in their own right) from Parkinson Lane Community Primary School will help with rehearsals. Prior to the Royal Albert Hall performance there will be a live performance at the Victoria Theatre, Halifax in July this year. “It’s fantastic news that schools in Calderdale will have the opportunity to perform in such an incredible venue. The Royal Albert Hall project will be an amazing experience for everyone involved. This entry was posted in Children, Education and learning. Bookmark the permalink.